Our hard working Committee members are all volunteers who are passionate about making this Club the best that it can be. It is no small task and we thank them for generously sharing their time and expertise. I am General Manager of Manawatu Cold Storage, where I have been employed for the past 29 years. I have always had a strong interest in many sports, and have previously managed the Feilding and Oroua Senior Rugby teams, and was also President of Oroua for 3 years. This is my 7th year on the committee at MGC and my 6th year as Men’s Club Captain – a role that I am still really passionate about. This is such a fantastic club. I have been a member of our club for 4 years. I live in Palmerston North with my wife Lyn and we have a grown family. I am an avid active golfer with an interest in Rules and District Golf administration. My golf currently is limited to weekend play however I acknowledge the various playing groups within the club and provide a commitment to ensure all are fairly represented at committee and club administration level. I see my role as far as the administration of the Manawatu Golf Club is concerned as providing the best environment that attracts new members, to provide impeccable facilities for all members of the club both golfers and non-golfers and to provide a positive environment within the committee that supports the administrators and employees of the club in a way that will benefit all members and users of our facilities. Recently I was invited to participate in the Business house tournament, a venture which started some 19 years ago. I see this tournament as an example of what can be achieved when we work together, both members and administration, for the benefit of all. The adjoining building development will be a talking point within the club for a numbers of years onwards from here and I will ensure that complete transparency exists with respect to any effects it may lawfully have upon our course. I urge members not to let this change within our environment be seen as a negative but rather encompass the challenge to ensure our fine club progresses in a way that is positive and will benefit all present and future members. I look forward to representing you all in the coming year and welcome your suggestions and views with respect to the club between shots! I was introduced to the Manawatu Golf Club through the Discover Golf Programme in October 2014. Having no previous golfing experience, I was lucky enough to be guided and taught the ropes by the 9 hole group. This group not only play golf but socialise after the round usually at the Hokowhitu Cafe and went on roadies to play other golf courses around the district and further afield. I was born in Palmerston North and where I undertook my primary and secondary education. I went to Victoria University of Wellington where I gain my Bachelor of Commerce & Administration degree. 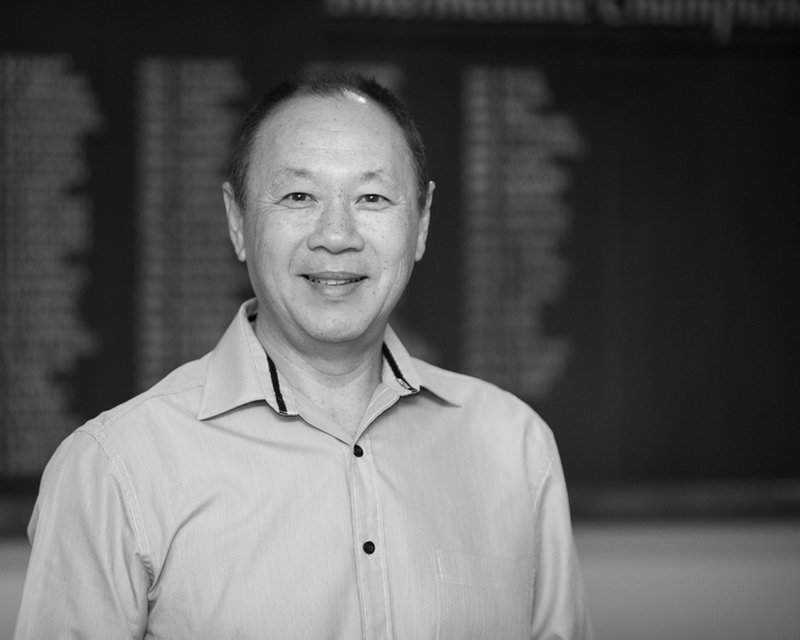 I am a qualified Chartered Accountant with over 30 years commercial experience based mainly in Palmerston North. I had a dual role as General Manager of Monument Finance (a subsidiary of Crombie Lockwood) and Group Financial Controller of Crombie Lockwood for fifteen years. Prior to this I worked at Fieldair, Allflex and Ernst & Young. My work has taken me all over the place - in New Zealand, time in Auckland, Wellington, Christchurch, Dannevirke & Pahiatua to name a few; internationally there has been Perth, Paris, Madrid, Dallas, Sao Paulo, Montevideo, Melbourne & Sydney. I look forward to working with my fellow elected representatives, Warren Collett and his team at the Golf Club. There are some exciting developments this year that will bring new challenges and, collectively, draw on our experience and common sense. My introduction to golf was spending many Sunday evenings looking for golf balls at Belmont golf links when I was a kid. I took up the game in late 2010 when my son Greg got very keen after attending a MWGA school golf event run by Stephen Wood. Outside of regular golf play and practice I spend over 3 weeks a year taking Greg and other juniors to golf tournaments around the country. I’m involved in research aimed at developing livestock parasite vaccines and am very experienced at Microsoft Excel. As a result I have set up spreadsheets to track the Men’s Saturday and Wednesday competition results and instigated a Fedex cup points system for the men season long competitions which is I think is a much more fairer way of awarding points for these comps. One of my interests is NZ native plants (you should see the transformation of my backyard in the 10 years we have been in Palmerston North) and as such I would love to see much more strategic planting of natives on our course, especially to replace the many aging pine trees. I love the personal challenge that the game offers and that the more you work on the game the better you can get. I have been a member at MGC since my 4 adult boys were very young. We have all benefited in many ways from the joys of playing golf here and the camaraderie it brings. As chair of the Membership Committee over the last 4 years it has been satisfying to see so many newcomers enjoying golf through our “Discover Golf” program. Given the friendly nature of our club I know you will all encourage and welcome the many new members. We are lucky to have a club that is humming, has such wonderful facilities and people. Now into my 8th year on the committee as Womens Rep I continue to enjoy the involvement & challenges the role brings. This year I am sitting on the Finance sub-committee in addition the the Executive. My day job is spent at Naylor Lawrence & Associates, Accountants and Business Advisors, where I am Senior Manager. I welcome any feedback, suggestions etc members may have regarding any facets of the club. I have been a keen golfer for the past 25 plus years having taken up the game after my body telling me it had taken enough damage from playing rugby league, and to pursue a sport that I could play for years to come. I enjoy both social and competitive golf and try to play as much as I can which is all the time thanks to my understanding wife and family. 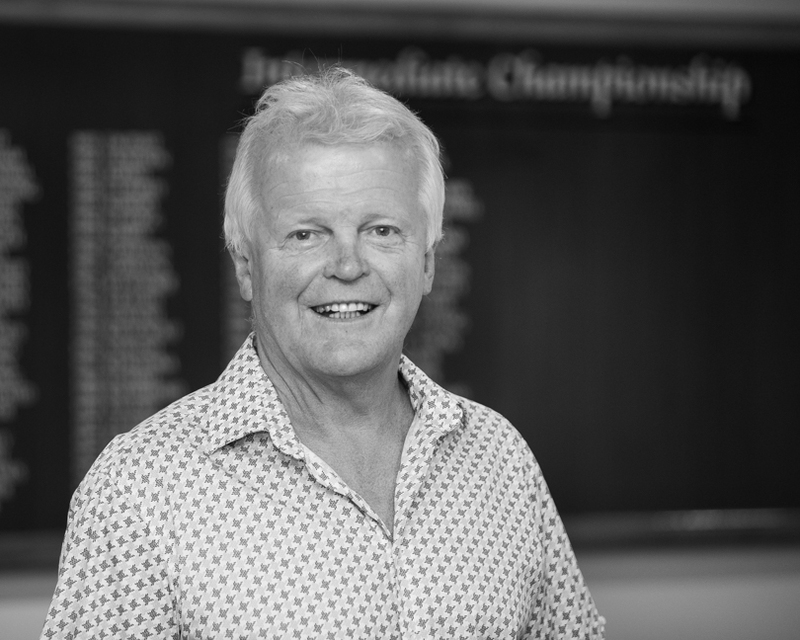 I am into my fifth year as a member of the Manawatu Golf Club and having just started on the Committee I am looking forward to the challenges this year will bring. I have been a member at a number of golf clubs as I moved around the country with my job in the RNZAF and I have served on a number of these clubs committees. I like to give a bit back as I am a big believer in doing your part for your club and welcome suggestions to help continue the Clubs growth and development. I took up golf around 15 years ago once our two daughters were of such an age that I no longer needed to be a human taxi service at weekends. I enjoy the constant mental challenge of the game and of course the friendships and camaraderie that develop when playing and socialising at our Club. My involvement in the Committee started in 2017, when my work commitments reduced to free up some time for me to devote to the Club. As Members we are incredibly fortunate to have been well served by previous Committees who executed a vision to expand our revenue base through the Café, function centre and now the pro shop. I am interested in ensuring we re-invest wisely in the Course and Club facilities to provide value for our subscriptions while also trying to make our Club attractive to new Members. Outside of golf I am a civil engineer and, along with my wife, own a small consulting engineering company. We both enjoy travelling, spending time with our two adult daughters, sons-in-law and now three wonderful grandchildren. I guess it’s fair to say I have devoted my adult life to Golf. In 1980 my wife Gill, and I opened the doors to what was Manawatu’s #1 family entertainment complex – Golf City. An 18-hole golf course, pro-shop, driving range, mini-golf & café. Now, along with our two sons, Sheridan & Callum, we have Golf Distributors. Part of the Vining Group, Golf Distributors is the largest distributor of golf equipment in New Zealand. Aside from the business aspect, I have a true passion for the game. It’s a sport that promotes positive sportsmanship & respect. Over the years, I have been fortunate enough to help nurture many young golfers from when they first picked up a club, to be coming Tour professionals. I have been fortunate enough to learn the ins and outs of the industry from a true grass-roots level, through to a number driven, retail level. I truly understand what it takes to make a golf club become a financial success, as well as what it takes to create a welcoming and thriving environment. As someone who is Palmerston North born and bred, I whole-heartedly believe in this city, and the Manawatu Golf Club. We have something very special here, and I am committed to keeping this Club as a venue that we the members, and the Palmerston North residents can be very proud of.